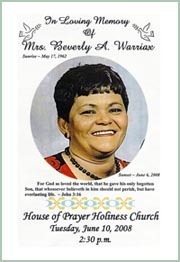 BEVERLY PASSED AWAY ON JUNE 6TH, 2008. BELOW IS HER "HEROES" STORY. 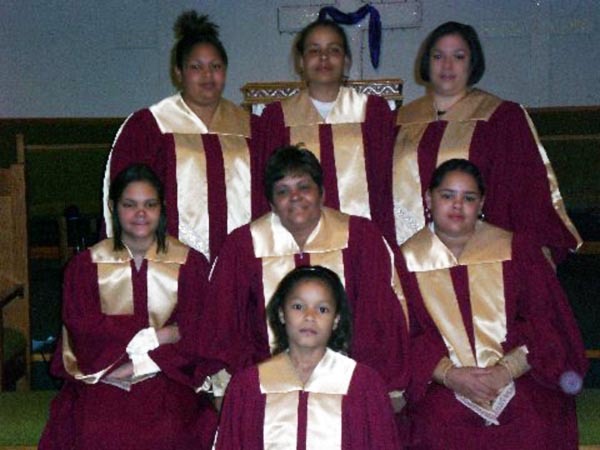 "Our church Drama Team have worn the same robes for years, and the choir doesn't even have any robes. 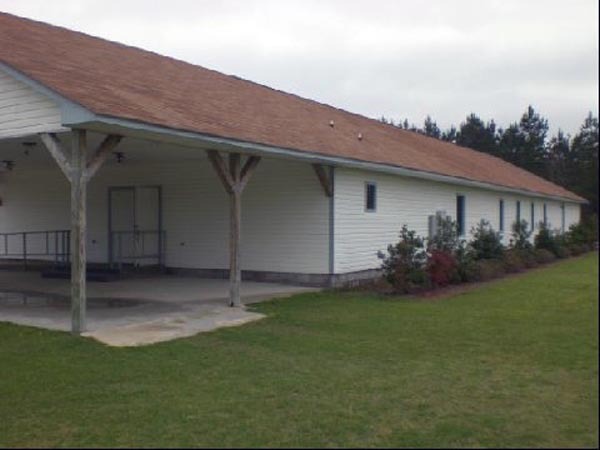 We are a small church with limited resources. My kids work very hard practicing and performing and have even worked at car washes to raise the money, but the money was taken and spent by the old drama leader when she left the church. They get so discouraged when they go to other churches and see their nice colorful robes. The ones we have now are falling apart and have been repaired over and over. If you don't know what a drama team is, let me try to explain: we use signing to music." Beverly's husband, Bryan, was a big help in setting up our surprise phone call. A newspaper reporter with the Fayetteville Observer wanted to be there, so Bryan had the reporter, Sarah, come to the house, telling Beverly she was with the fire department. I heard Beverly was getting a little suspicious but then I called to give her the good news. I'm not sure if she was laughing or crying but she was definitely excited, and surprised. The reporter, Sarah, told me afterwards that she had driven an hour and a half to get there and said there were no house numbers but a neighbor helped locate Beverly's house. The couple also raises beagles on their property. 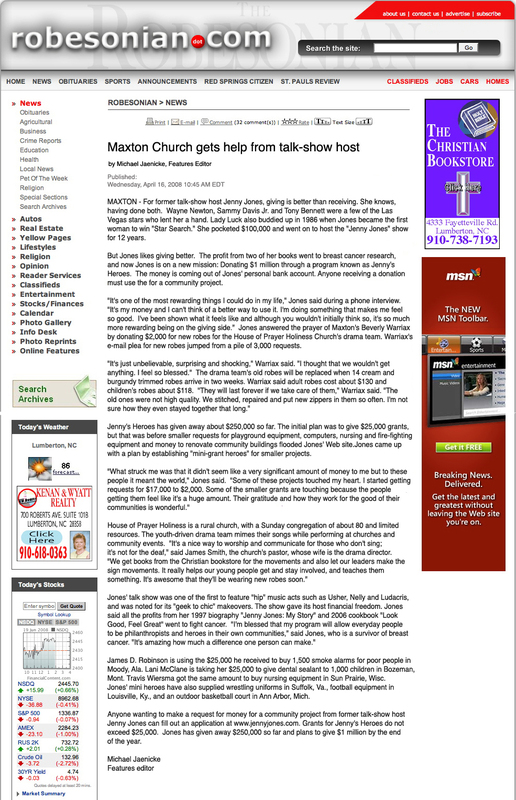 Beverly will use her $2,000 to buy robes and music equipment for her church drama team. "Jenny, would you please pass my poem "In the Corner" along to Beverly’s family, for their garden has truly grown." why it grows over there, nobody really knows. I don't prune it or feed it, it grows strictly on sun. the rose is beautiful, perfect, awesome indeed. it is long and narrow, not at all very wide. but in that very corner, is that rose, growing in the sun. I grow my friends there. give them pieces of my heart, send prayers for them above. I know why it's there and heaven knows. I grew it for my friend, who passed on before me. that's why their rose is special, sacred and alone. to remind me of how a friendship starts. just like a rose, one tended to with loving care. it's because my corner's grown larger and my garden gotten small. and heaven will be home for all the friends represented there. It is with much sadness that we share the news of the passing of this wonderful hero, Beverly Warriax. We just learned that Beverly passed away on June 6th, having suffered a heart attack. Beverly's grant was the smallest we have ever done. 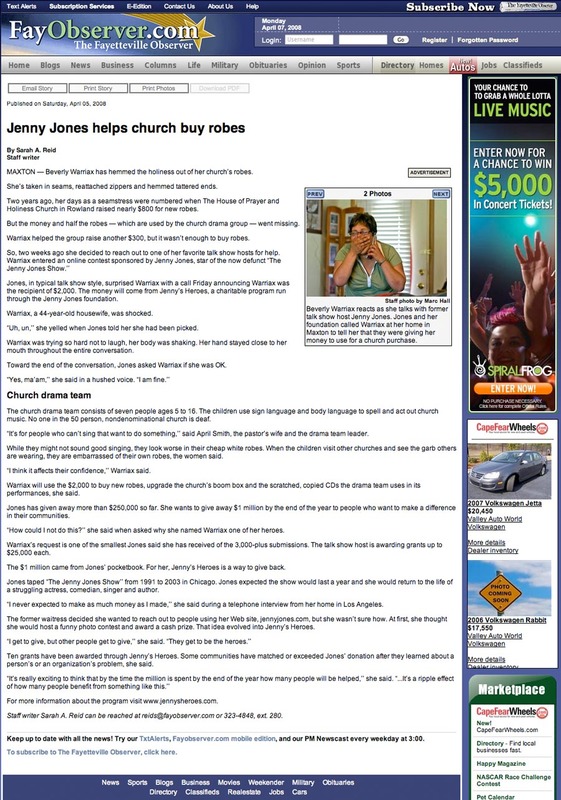 She only requested $2,000 for choir robes for her church choir and drama team, and she was so excited when she got the good news. But the sad news that came this week was a surprise to everyone. We just received a note from family friend, April, letting us know that Beverly was sitting on her front porch with her daughter when she had a heart attack. Beverly's husband, Bryan, said they were all caught off guard and are dealing with it the best they can, one day at a time. Bryan asked for our prayers. 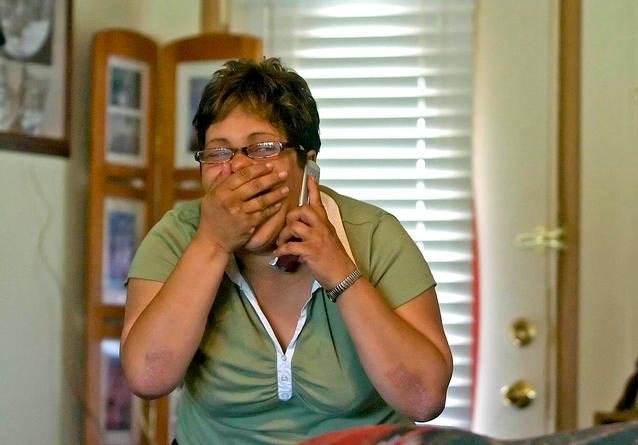 Beverly is survived by her husband, Bryan; daughters, McKenzie Brewington and Candice Deese; father, Lawrence Deese; mother, Polly Deese; brother, Lawrence Deese; and sister, Ellen Locklear. 4/04: Jenny wrote... "Beverly, it takes a big heart to volunteer. Congratulations on being a hero at your church." 4/04: Damon wrote... "Congrats, Beverly. I can't wait to see the photos of your church drama team and choir in their new robes. You're all going to look so sharp! Thanks for all that you've done for your church." 4/05: Anthony wrote... "Praise the Lord!..... Beverly, It is such a blessing for your church choir to be able to stand proud not only for their Lord but for their new robes. Plus many thanks to your husband Brian and all your precious beagles." 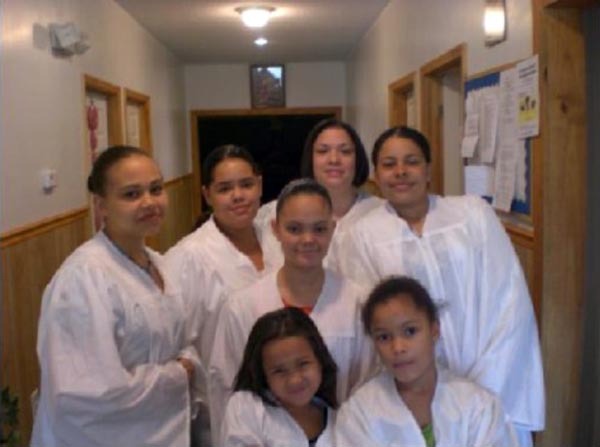 4/07: Terri wrote... "Kudos to you Beverly for having the faith to reach out for help in obtaining the beautiful new robes for your church. Everyone is grateful to you. Congratulations!" 6/27: Stacie wrote... "I am so sorry to hear about Beverly. She seemed to be the most unselfish and giving person. Her family has been blessed to have someone like that to love. My heartfelt sympathy goes to her family and the those she has touched."